On 15 November 2018, the Federal Government, under the auspices of the Federal Ministry of Labour and Social Affairs, is organising a symposium in Berlin within the framework of the National Action Plan for the Economy and Human Rights (NAP). The event deals with the subject of human due diligence in respect of raw material procurement and purchasing at commodity exchanges and is intended to create a basis for later industry dialogues by the Federal Government. Since the extraction and processing of raw materials are often associated with adverse effects on human rights, challenges for various industries are to be identified and possible solutions are to be developed. 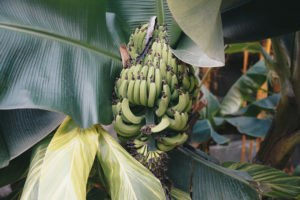 The Action Alliance for Sustainable Bananas will present its approach in a workshop on the influence of industry initiatives (see Workshop 3 of the programme). Along with other speakers from Südwind, BMW and Cotton Made in Africa, the ABNB will present its concrete motives and approaches for possible actions and will answer the question on how companies can increase their influence.